PetSmart has terminated their adoption partnership with a Valley animal rescue after an ABC15 Investigation uncovered troubling allegations about the group, called Woofs Wiggles n Wags. According to the investigation, there were cramped cages, and dogs walking through their own waste, suffering from both physical and psychological neglect. Naturally, PetSmart terminated its adoption partnership with the animal rescue upon hearing the news report. Whatever the reason for these conditions: understaffed and overwhelmed, forgetting or ignoring the needs of these animals due to out-of-balance priorities, or any of the other numerous reasons we see for sub-standard animal care, this serves as a reminder of the importance of getting to know the person or organization you get your pets from. Whatever breeder, rescue, business, or shelter you choose for your next pet, it is vital that you do your research, so can return home with your new companion confident you dealt with somebody who is competent and ethical. This is important for animals in general because you are supporting people who are doing it right — people who truly understand and care for animals; it is important for you and your pet specifically, because it increases your pet’s odds of a long, happy life with you and your family! Owning a pet can be such a valuable, life-enriching experience; we talk so often about the importance of being a “responsible pet owner” because of the benefits this brings to your pet, to you, and to your community — but the focus is usually on the care and attention your pet receives after coming home. For potential pet owners and their communities, responsible pet ownership starts long before you get your pet! 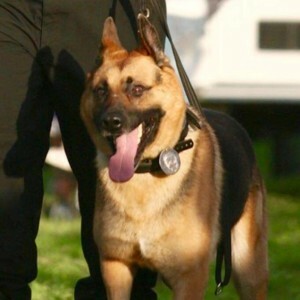 Judge, a 9-year-old Czech German shepherd with the West Deptford Police Department, was euthanized Friday as more than 90 police officers gathered to honor him one last time. Judge’s excellent service is a testament to how much his people meant to him. Judge himself, and the tribute he received, serves as a testament to how much animals mean to us. And his euthanasia after a long struggle with Cushing’s Disease, is a reminder of how fleeting our time with the animals we work with and care for and love can be. What a great dog! Dog Lovers Aren’t the Only Ones Who Can’t Wait for Westminster! For many dog enthusiasts, the Westminster Dog Show is the most exciting and highly anticipated sporting event of the year. With a rich history dating back to 1877, top breeders and dog trainers from around the world work a lifetime for the opportunity to have their dogs recognized there. Most of these breeders belong to AKC kennel clubs where they, along with other dog lovers, volunteer their time and work for the benefit of dogs, responsible dog ownership, and the preservation of their breeds. They breed their dogs carefully, contribute to canine health by donating to scientific research and test their own dogs before breeding them… then test them again in the show ring. In the world of dogs, to call Westminster a “big deal,” is a big understatement! Of course, dog enthusiasts aren’t the only ones who eagerly await Westminster each year. Perhaps you have noticed that in the weeks leading up to Westminster each year animal rights organizations increase their attacks on AKC, purebred dogs, and dog shows exponentially — especially the larger, factory fundraising groups. This isn’t a coincidence: these guys love the Westminster Dog Show! Whether their appreciation comes in the form of carefully timed and targeted opinion pieces bashing the AKC, or more disruptive forms of attention-seeking, it is obvious that the animal rights crowd just can’t get enough Westminster! And you know what? While we certainly don’t like it, we understand why they do it. Their fundraising and hence their very existence depend on exploiting (disparaging) the work of others. So even though they don’t produce any exciting, constructive, or entertaining events like the Westminster Dog Show themselves, they do know how to capitalize on its success; they’d be crazy not to grab on to the coattails of this, one of dogdom’s most important, venerable and visible events! After all, it is easier to get attention by inserting yourself into someone else’s picture than by doing something positive yourself. Thank you to everybody who has signed our petition asking Outfront Media to pull PETA’s billboard! And if you haven’t done so already, please sign it today and share it with everybody you know who loves dogs and hates smear tactics (hint: that should mean a lot of people)! Freedom of speech has few limitations in the United States — even the sensationalist, hateful speech practiced by PETA is protected by the first amendment. That’s why it is so important for companies to draw distinctions between business practices that are legally allowable and ones that are ethically sound. PETA’s misleading advertisement is intended to hurt dog breeders (specifically, AKC breeders) right before a major dog show takes place. Help us turn this around. Exercise your freedom of speech now by signing our petition. Doing so will help us save our dogs from destructive groups like PETA with agendas that serve no one but themselves. 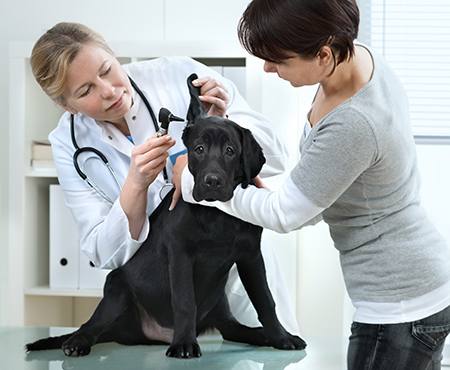 Here’s a thoughtful article about compassion fatigue as an occupational hazard for veterinarians, its contributing factors, and suggestions for combating it. It is most commonly applied to (human) healthcare practitioners and individuals who have gone past the point of saturation with pleas for and/or sensationalist tragedies, but it doesn’t take a leap to see how it could affect veterinarians as well. Long hours, stressed and occasionally abusive owners, not being able to save every animal — even a labor of love can be emotionally taxing. When we published “Burnout: The Monster in the Rescue Closet” back in 2003, which dealt with the stress, anger, and guilt that can accumulate in those who devote their lives to rescue, it was amazing how many readers wrote us to say “That’s ME in that article!” and gratifying to hear how Vicki DeGruy’s suggestions helped people find balance in their life while still helping animals. The existence of compassion fatigue (or more simply: “burnout”) has been known in the medical community for a long, long time (it was officially diagnosed way back in the 1950s), so it is doubtful there will be a flurry of epiphanies among veterinarians as there was among people in the rescue community 12 years ago. But the above article is important for spreading awareness to people outside the field. As an outsider, when you see somebody who is intelligent, capable, and lucky enough to be pursuing their life’s dream, it can easy to dismiss the emotional toll of their job. When somebody brings their untrained “comfort animal” to a place pets are not typically allowed and the inevitable disaster ensues, our first reaction is often a grin, because — lets’ face it — these stories can be pretty amusing. Unfortunately, tales of out-of-control comfort pets and fake service animals also have a very real insidious effect: people start questioning the legitimacy of the service animals they come across. This is especially troubling for the growing number of people without visible disabilities or injuries who receive assistance from service animals, or those with non-standard service animals (e.g. a Chihuahua), who are more likely to feel the “raised eyebrow” that questions their honor and legitimacy. Under the Americans with Disabilities Act (ADA), privately owned businesses that serve the public, such as restaurants, hotels, retail stores, taxicabs, theaters, concert halls, and sports facilities, are prohibited from discriminating against individuals with disabilities. The ADA requires these businesses to allow people with disabilities to bring their service animals onto business premises in whatever areas customers are generally allowed. We follow animal trends at NAIA, and while we can safely say there is no epidemic of out-of-control comfort animals and imposter service animals, it is definitely a growing issue that we take seriously, and one we will work to find positive solutions for! Exeter, a service dog trained by CCI, helps Bob cope with the physical and emotional symptoms of Huntington’s disease. Death Threats for Bow Hunter: Can You Feel The Love? 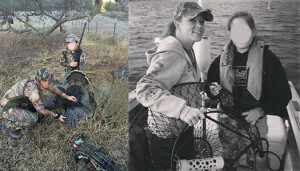 How do animal rights activists show appreciation to an amazing person who teaches kids hunting and other outdoors skills? Oh, by sending them death threats and vicious insults of course! Because what could be worse than getting kids off the couch and off their phones to teach them responsible hunting, conservation, and sparking a lifelong respect of the outdoors? Yes, what a horrible, horrible woman indeed! We kid, we kid! We think passing on these skills to the “next generation” — especially when so few have regular (or any) exposure to nature — is a pretty great thing! For more: here’s a radio interview with Jen Cordaro, where she explains why she started #BringaKidHunting, the skills and values that are learned (the virtues of patience and delayed gratification especially!) and the importance of educating kids about hunting and weapons safety.